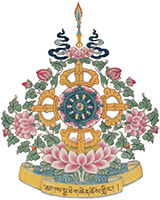 Come celebrate Losar (Tibetan New Year) with H.E. Avikrita Rinpoche and welcome new Buddhists who have just taken refuge, by enjoying a meal in the Cultural Hall! Family, friends, and loved ones are welcome to join in the fun. Please bring a potluck dish to share (preferably vegetarian).